Tonight the Perseids meteor shower peaks. You can't beat looking for meteors in August. The Leonids may be more spectacular some years, but I prefer warm, buggy nights to having my breath fog up my view. Summertime meteor showers require little more than a blanket, maybe some bug spray, and a pair of eyes. You don't need a star map, you just need to keep looking up. You don't need a telescope, you just need to keep looking up. You don't need binoculars, you just need to keep looking up. Leslie and I have seen a lot of night sky together. I wrote something 5 years ago about something else that happened over 30 years ago. I like it, and I have used it several times in the past few years. Hey, it's my blog--I'm using it again. No yeast, no wine. See the fuzzy stuff on grapes still hanging on the vine? The blush of yeast. Alive. Ubiquitous. Cheap. To make a fancy wine, the yeast on the grapes must be killed. Millions of the critters are poisoned by sulfite. A particular strain of yeast is then introduced. A truly fancy wine has elite grapes and cultivated yeast. To be fair, the tongue appreciates the effort. A shooting star lights up the midnight sky. A child makes a wish. A woman not sure of the man she's with sees a sign of love, a mistake rectified in court 12 years later. An older gentleman dying of prostate cancer marvels at the glow. On any given clear night, I can see a shooting star graze the sky.One magical morning I saw hundreds sparkle over me with my youngest at my side. Still as magical as it was, should I collect a few grams of shooting star dust and sprinkle it into grape juice, nothing happens. The grape juice still tastes like grape juice. It's not that difficult to collect shooting star dust*; collecting yeast, however, is easier. The stuff is everywhere. Most Americans spend more money buying drugs to eliminate yeast than buying yeast itself. Every day a grape vine outside my window converts water and CO2 to grapes; a year or two later, yeast converts the same grapes into wine. I have lived with the same woman for more than a quarter century. Years before she cradled my daughter in her womb, we watched a summer shower of shooting stars in the Catskills. We marveled at the eerie midnight streaks. Still, stardust and water make only mud. If you collect rainwater in a bucket, let it set a bit, then drag a magnet through it, you will capture some micrometeorites. If you look at them under a microscope, you can see the pits of their journey inscribed in the particles. If you spent any time outside today, you may well have a particle or two in your hair, descended from the heavens. 40,000 tons of cosmic dust settle on our planet in a year. A few micrometeorites settled on the roof above you while you slept last night. Comet dust, cosmic spherules, shattered asteroids, moon and Mars dust. Leslie and I lay on a grassy hill in the mountains, before our children had names. If we drank any wine that night, we could not have told you much about it beyond its color. 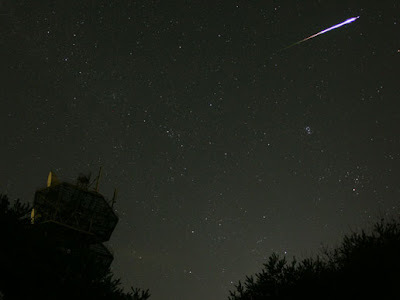 We have since seen hundreds of meteors, perhaps one for every streak of gray hair we share. Still we smile at the unexpected midnight flash. We have become sophisticated enough to know premier grand cru classé from the screwcap pink stuff. Seeing Leslie after just a few hours apart still startles me like a shooting star. An unexpected, undeserved pleasure. This world rewards those who pay attention. I have wasted warm, clear nights staring at this monitor; bunches and bunches of grapes fall unharvested at the end of every summer. Still, as we grow older, the sky and the grapes return over and over again. Good, cheap wine needs more time than energy, and I am still young enough to have both. When things go bad (and all things that breathe eventually rot), things become difficult. My father lies trapped in a body only partially his now. My mother died a grotesque death, her moth-eaten brain reducing her gracefulness to that of an awkward marionette. Our turn awaits. Still, as our bodies fail, we'll drink cheap wine and watch for shooting stars. It was enough when we started, more than enough now. *A lesson on "Collecting Micrometeorites"
This is a wonderful post! A reminder to enjoy life and love as well as a lesson on the ubiquity of yeast and stardust and their various uses. I saw part of the Perseid shower while camping on Cape Cod last week. In the small patch of open sky above my campsite in the woods, I saw an amazingly bright and long streak that made my night. I thought of you as I waded through tide pools full of horseshoe crabs and other life while collecting beautiful rocks made of granite worn smooth and intact shells. My family and I watched the tide go in and out while seals swam past. It was hot enough to swim in 60 degree water and be grateful for the cold. You are fortunate to live so close to the ocean. Thanks for the words, I really like this post.